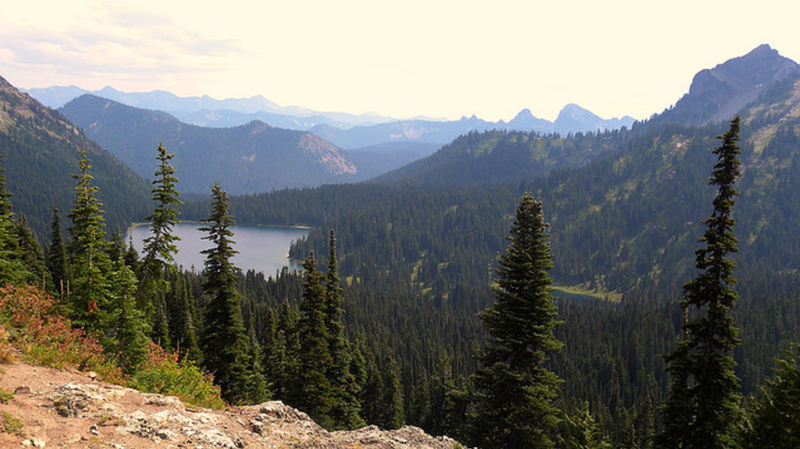 Chinook Pass, part of the Pacific Crest Trail, is known for its beautiful scenery, and clean trails. The Pacific Crest Trail (PCT) has long held a legendary status among serious backpackers, and its fame has only grown in recent years with mainstream portrayals (most notably, Cheryl Strayed’s Wild and the subsequent Reese Witherspoon blockbuster of the same name). If the PCT hype has left you wanting to get in on the action without the several-month commitment, the 28-mile portion from White Pass to Chinook Pass is a great way to get a taste of what the trail is all about. The trek from White Pass to Chinook Pass is beautiful enough to instill a sense of appreciation for the PCT, but short enough to be over before the pain and blisters really have a chance to kick in.We recommend traveling from south to north (starting at White Pass, ending at Chinook Pass), because in this direction the scenery will get more spectacular as you go. Plus, this way the sun won’t be in your eyes. The trek starts through wildflower meadows, ponds, and small lakes – and then, about halfway through, begins to open up to glorious alpine vistas, with views of the Goat Rocks, Mount St. Helens, and Mt. 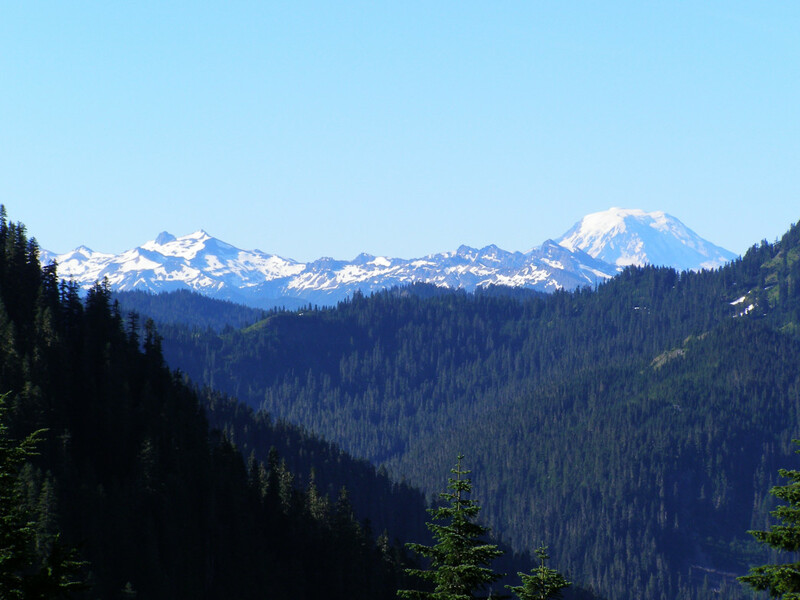 Rainier, as you hike alongside jagged mountain ridges. 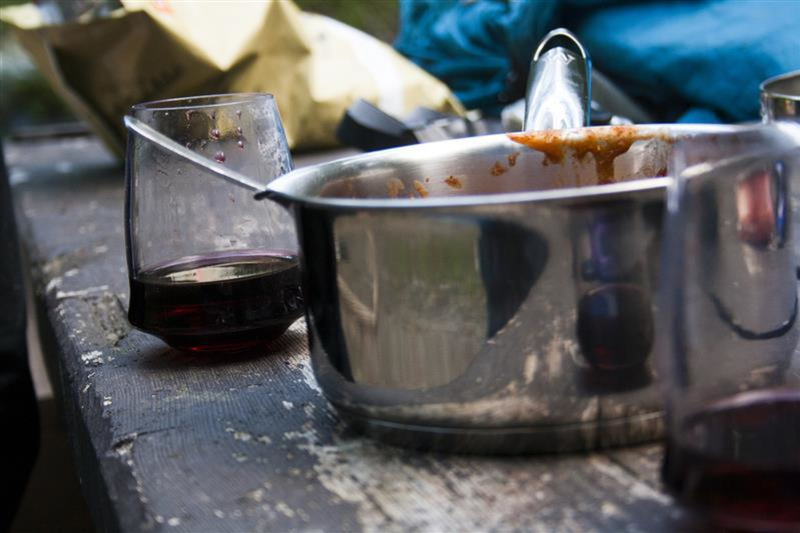 There are many places to camp along the way, giving you lots of flexibility in deciding how many miles to cover a day. 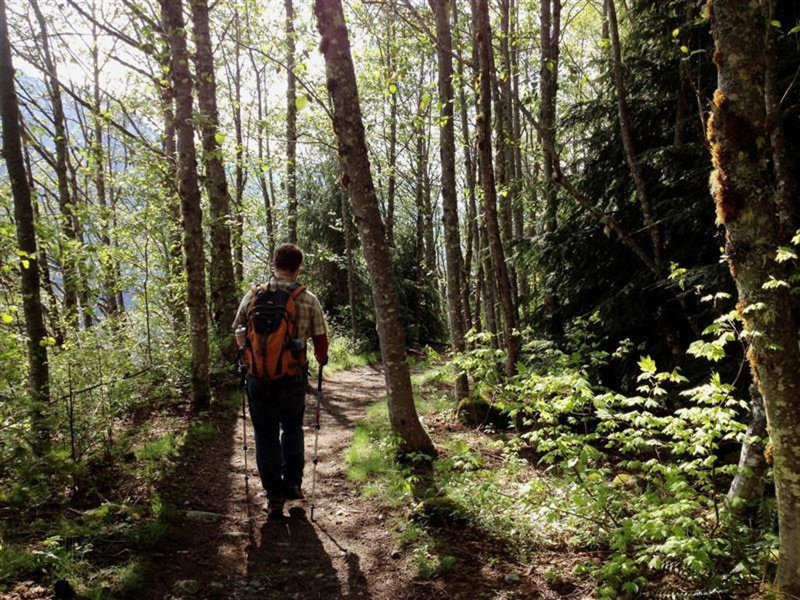 Experienced hikers can easily cover the whole route in a weekend, while greenhorns may want to space it out a bit more. Depending on how early of a start you get, spend the first night at Sand Lake (3 miles in), Buesh Lake (6 miles in – warning, can be buggy), or Pipe Lake (7.5 miles in). The next day, continue northwest, past the junction with the Penoyer Lake Trail, and on to Snow Lake’s west shore. 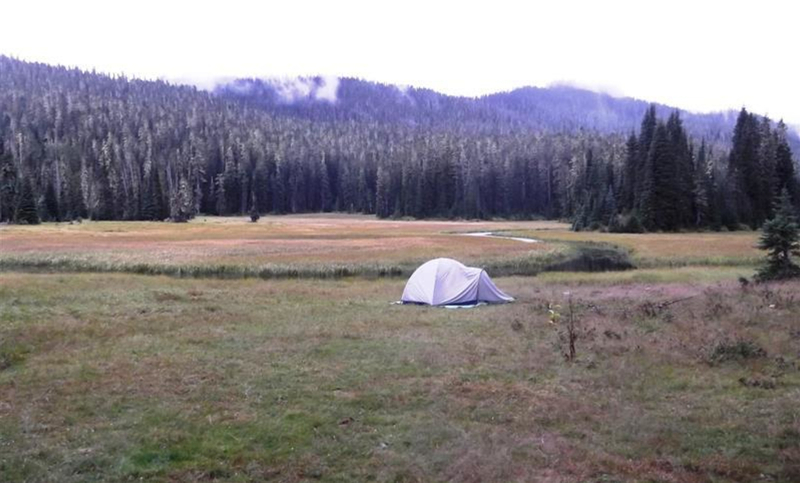 Continue on to Fish Lake and then Crag Lake, both of which are good camping options. As you continue on, keep an eye pointed toward the northwest for views of Mt. Rainier. Anderson Lake and Dewey Lake are both nice sites for a final camp. Then, keep heading north, keeping Tipsoo Lake to the west. Turn right at the sign for WA 410/Chinook Pass/ Mt. Rainier National Park. Because the route is relatively flat (there’s only 2200 elevation gain over the 28 miles – the steepest climb occurs about halfway through), can be broken down into four days of 7-8 miles per day, and is well marked with signs throughout, this makes fro a great introduction to backpacking. You’ll want to bring two cars. Drop one off at the Chinook Pass trailhead, which is just east of the Mt. Rainier National Park entrance on State Route 410. Park on the north side of the highway, in the Tipsoo Lake parking area. 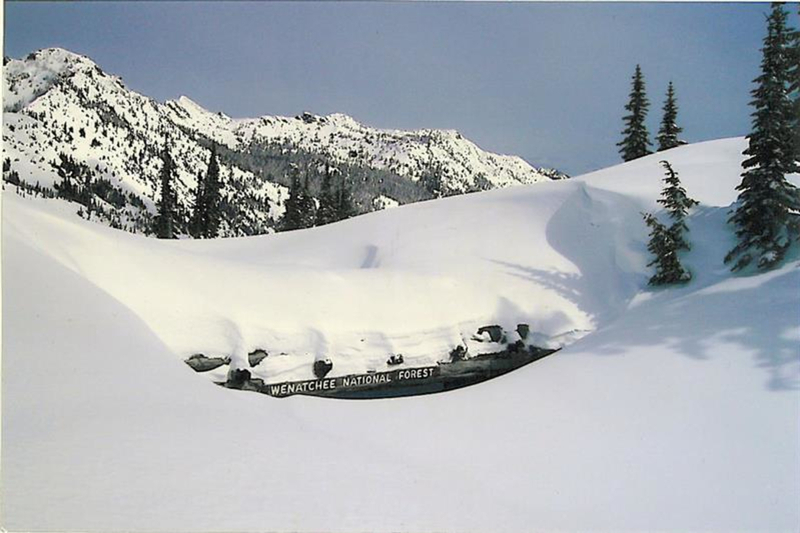 Then, drive about 45 minutes to the White Pass trailhead, about 0.5-mile east of the White Pass Ski Area on State Route 12 (take not that the trail head is not well marked). Start the hike from the trailhead between Leach Lake and the horse camp.